Recently, we have been receiving calls from Nebraska growers about the Enlist™ Weed Control System and Enlist Duo™ herbicide. Basically, genetically engineered Enlist crops including corn, cotton, and soybean would be tolerant to 2,4-D plus glyphosate. The next generation Enlist crops, Enlist E3™, would be tolerant to 2,4-D, glyphosate, and glufosinate (Liberty). Enlist, Enlist E3, Enlist Duo, and Colex-D are trademarks of Dow Chemical Company ("Dow") or an affiliated company of Dow. As of April 2015, Enlist Duo herbicide is not registered for sale or use in all states. Contact your state pesticide regulatory agency to determine if a product is registered for sale or use in your state. Always read and follow label directions. 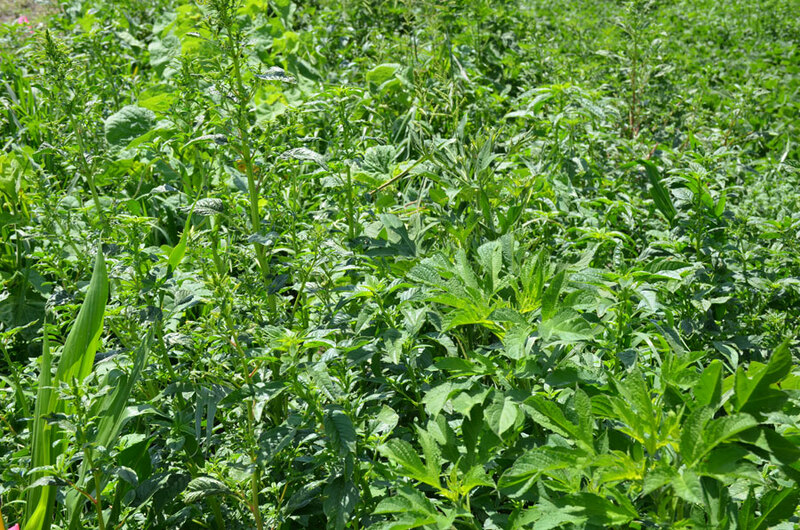 The Enlist weed management system and Enlist Duo herbicide have been tested for many years by industry and university weed scientists. USDA has now deregulated Enlist crops and EPA has approved Enlist Duo herbicide in major corn and soybean growing states, including Nebraska. It is expected that Enlist corn and soybean will be available commercially for the 2016 growing season. up to midbloom in Enlist Cotton. The herbicide Enlist Duo is a proprietary blend of 2,4-D choline and glyphosate that will provide broad-spectrum, post-emergence control of resistant and tough-to-control weeds. 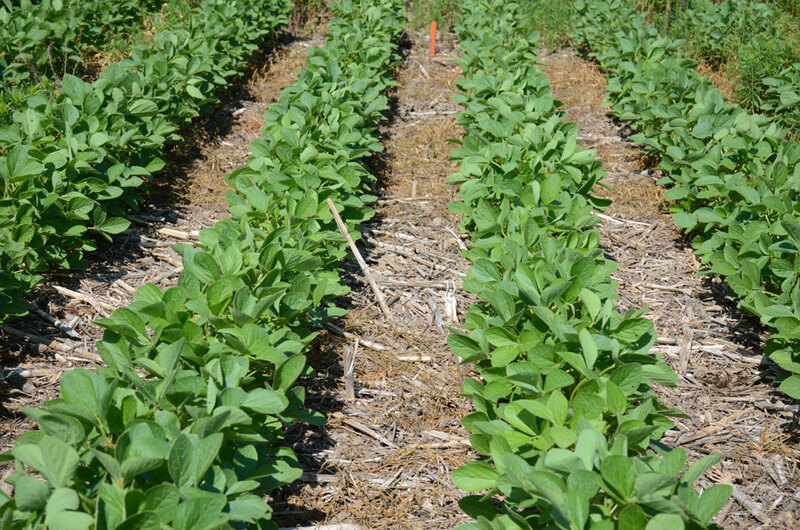 Dow product resources claimed that Enlist Duo herbicide combined with Colex-D technology would reduce volatility, minimize drift, decrease odor, and improve handling compared to traditional 2,4-D formulations. Enlist Duo herbicide ingredients are expected to provide broad spectrum weed control: 2,4-D choline will control glyphosate-resistant and susceptible broadleaf weeds and glyphosate may control glyphosate-susceptible broadleaf and grass weeds present at the time of application. The application rate of Enlist Duo is 56 to 76 fl oz /acre and can be applied as pre-plant, pre-emergence or post-emergence on both Enlist corn and soybean. The cumulative application rate of Enlist Duo should not exceed 228 fl oz/acre per growing season and 76 fl oz/acre per application in both Enlist corn and soybean. If applied sequentially, there must be a 12-day interval between applications. The third component of this system is a stewardship program that will provide growers with recommendations, tools, and training to ensure wise use this technology. A team of technical staff will provide information on management practices outlining the use of certified herbicides, suitable environmental conditions for herbicide application, application rate, method and equipment, and resistance management for hard-to-control weeds. For example, it is recommended that any pre-plant or pre-emergence herbicides applied do not contain glyphosate or plant growth regulators (2,4-D or dicamba) to diversify herbicide modes of action being applied. 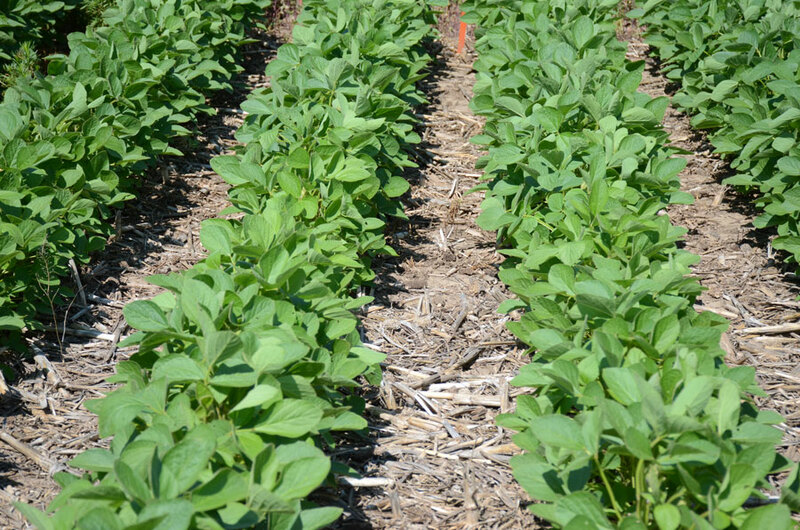 Field experiments conducted in Nebraska for two years showed excellent control of glyphosate-resistant giant ragweed with a pre-emergence application of Sonic at 4.5 oz/acre followed by a post-emergence application of Enlist Duo at 75 fl oz/acre in Enlist soybean (Figure 1). 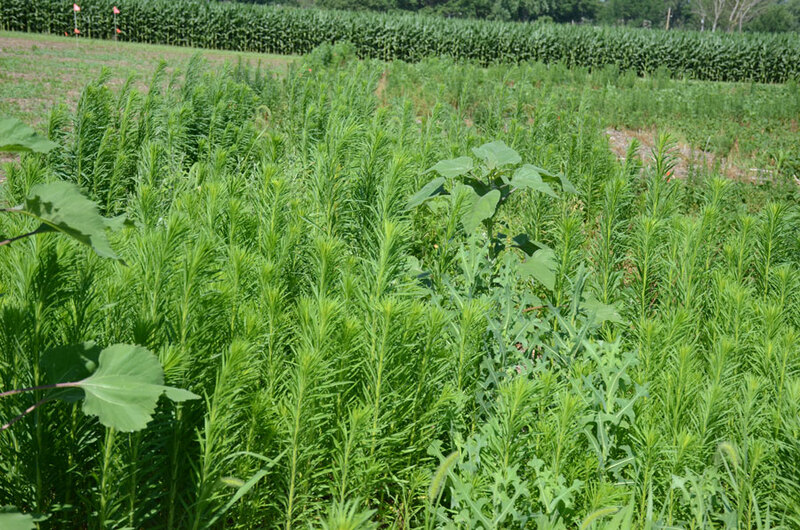 Similarly, field experiments conducted in Nebraska showed excellent control of glyphosate-resistant marestail with a pre-emergence application of Sonic at 4.5 oz/acre followed by a post-emergence application of Enlist Duo at 65 fl oz/acre (Figure 2). While the Enlist weed management system might be effective for control of glyphosate-resistant broadleaf weeds, the sustainability of Enlist weed management system and Enlist Duo herbicide will be based on many factors such as how growers use this system in the long run. The repeated application of a single herbicide or herbicides with the same mode of action results in herbicide-resistant weeds.